The SP Domino Truck Seal is one of the components of the broad range of transport seals from Mega Fortris Australia . For additional security there are alignment holes manufactured into the tail of the SP Domino Truck Seal which must line up and this ensures easy inspection and correct sealing. 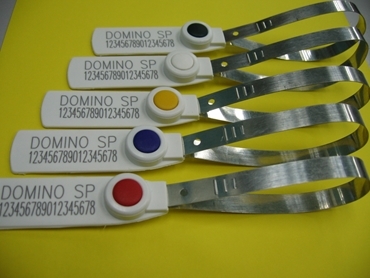 SP Domino Truck Seals use permanent laser engraving, which offers the highest level of security as it cannot be removed or replaced. The SP Domino Truck Seals have applications in the following industries: trucking industry, tankers, air lines cargo, shipping and rail container movements and warehousing.